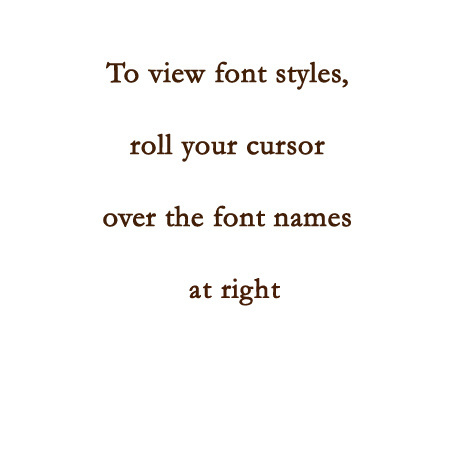 Roll cursor over font names to view font styles. These fonts are provided for your convenience, however, we may use ANY font. If you'd like to use a font not shown here, write the font name in the Special Instructions box on the order page. VIEW YOUR PERSONAL WORDING IN OUR FONT VIEWER! � 2015 A Giftful Heart. All Rights Reserved.